Your indoor air could be even more important than you realized, as several factors can impact the air quality and lead to potential health hazards for those exposed. 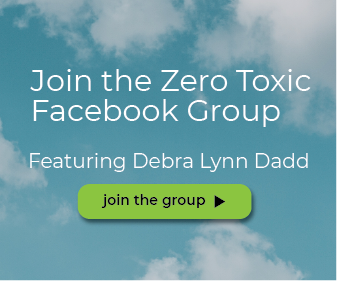 The Environmental Protection Agency conducted studies of human exposure to air pollutants that indicated that indoor levels of pollutants may be two to five times – and sometimes occasionally more than 100 times- greater than outdoor levels. Thus, the significance of quality indoor air has never been more critical. 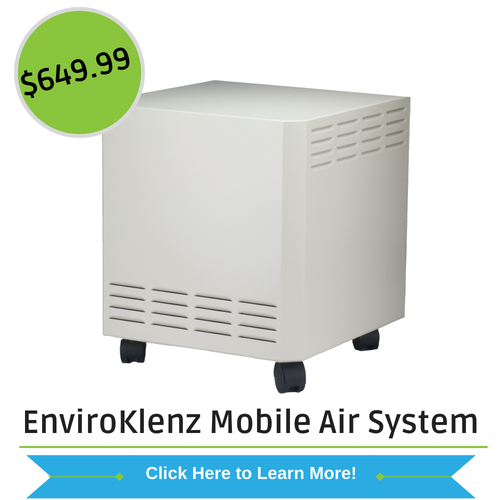 Many people have turned to air purification systems like the EnviroKlenz Mobile System as a means to improve their indoor air quality and therefore better improve their health as well. 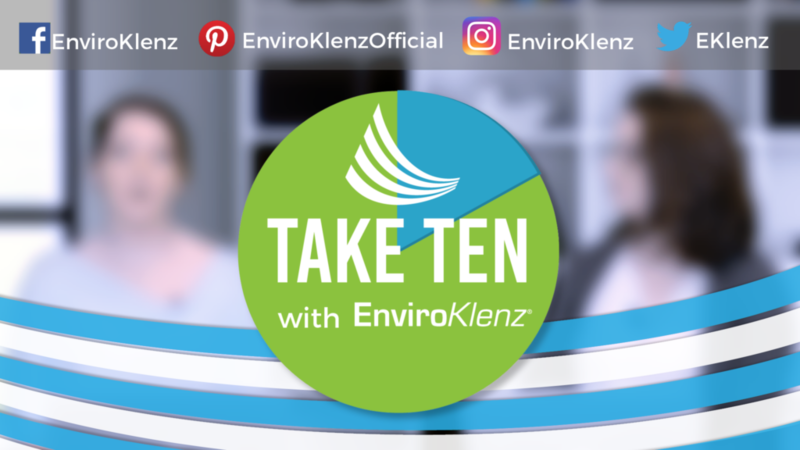 How does the EnviroKlenz Technology work? 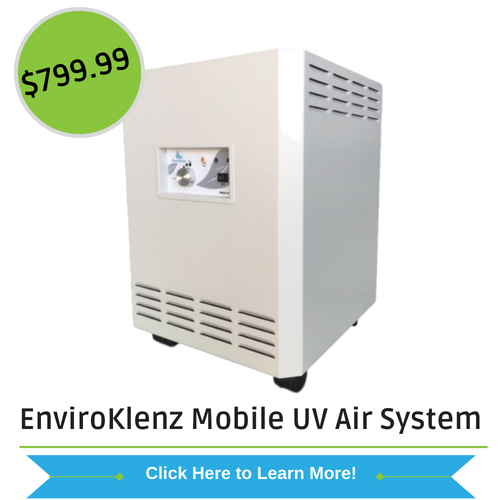 The technology behind the EnviroKlenz Mobile Air System utilizes advanced, patented earth minerals to safely retain and neutralize a broad spectrum of toxic and noxious chemicals and odors. These earth minerals have a very high surface area that gives ample active sites to contact the chemical pollutant, but they additionally can break down chemicals through a variety of chemicals mechanisms and pathways, safely. These EnviroKlenz mechanisms include a combination of both physical and chemisorption processes. We have trade secret and patented processes in which we can produce our metal oxide materials and increases the usable surface area and pore volume. These increases allow the whole volume of the materials to be for chemical neutralization and not just the outside surface. Thus, we get the full activity of the materials, not just what is on the outside. It ultimately is the combination of the high surface area, numerous active sites, earth mineral composition, and unique morphology that result in a very efficient and broad spectrum technology. 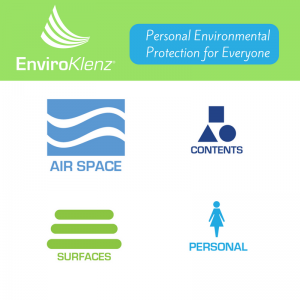 What makes the EnviroKlenz Mobile System different? 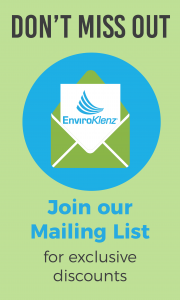 The EnviroKlenz Mobile System uses the safe earth mineral media packed into a 2-stage filtration process that combines traditional particulate removal (such as HEPA filtration) with the EnviroKlenz cartridge to accomplish what traditional mechanical filtration cannot do alone. Air filters only remove particulates to varying efficiencies, but with the EnviroKlenz Cartridge, chemicals, odors, and other liquid or vapors can be captured and/or neutralized. Best of all, this process occurs without releasing harsh chemicals or byproducts to the air space, leaving the best evidence of all, no odor.